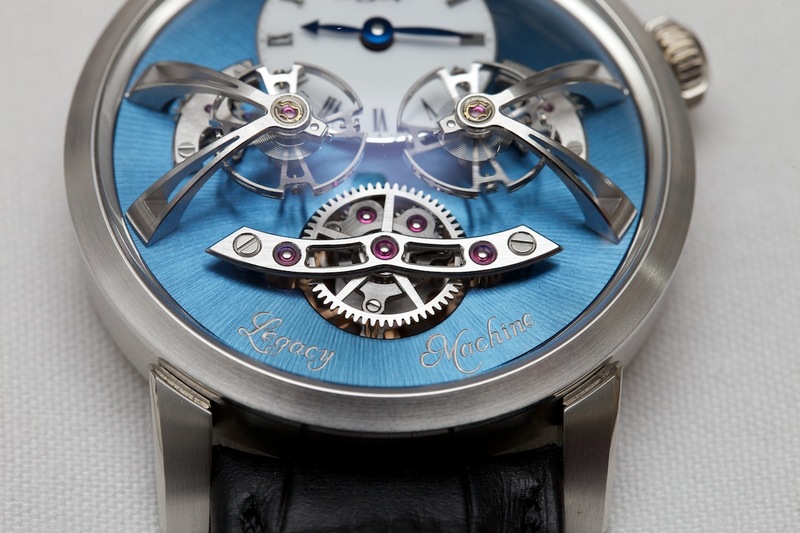 Just launched on September 3rd, the LM2 is the successor to the highly successful, multiple award-winning LM1. 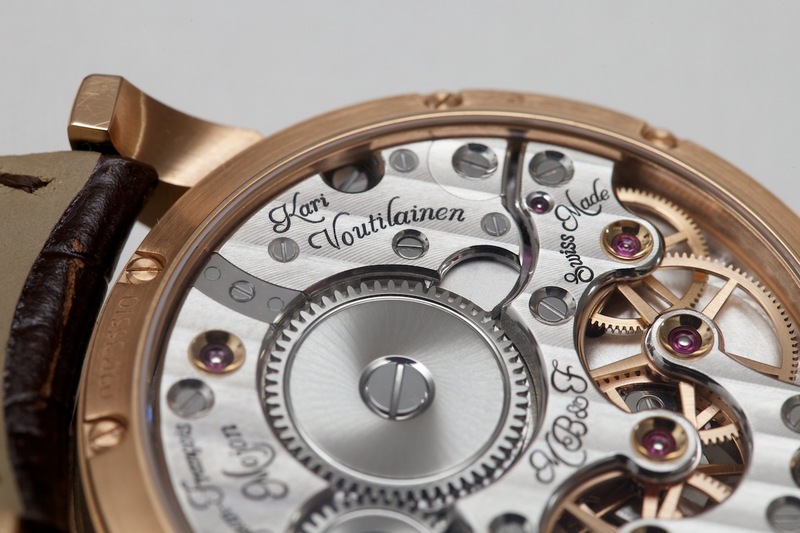 It's the result of collaboration with a world class team including design by Eric Giroud, movement development by Jean-François Mojon, and finishing led by Kari Voutillainen. 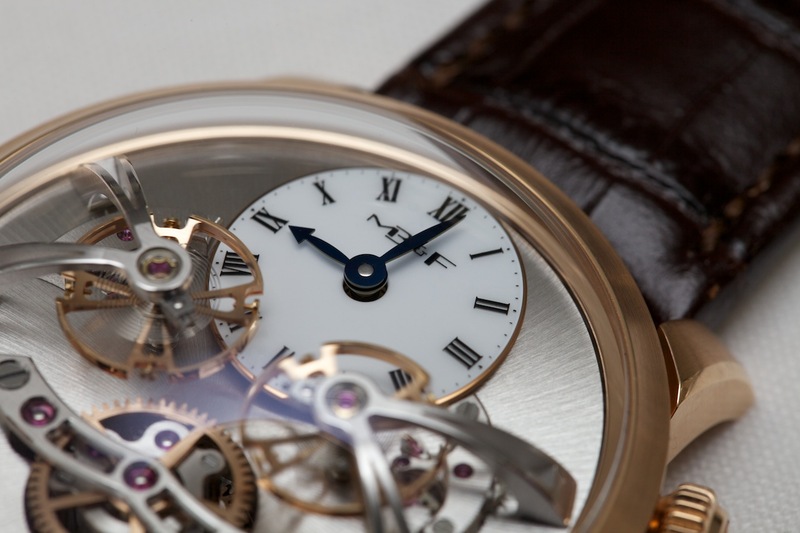 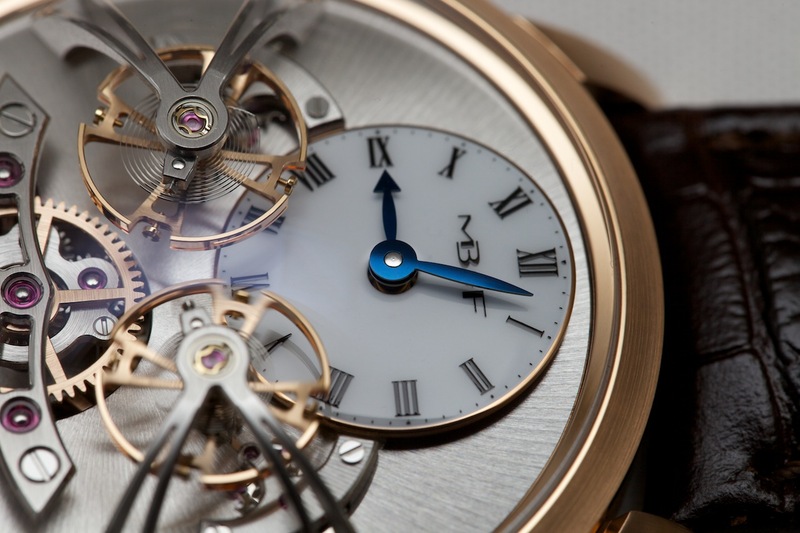 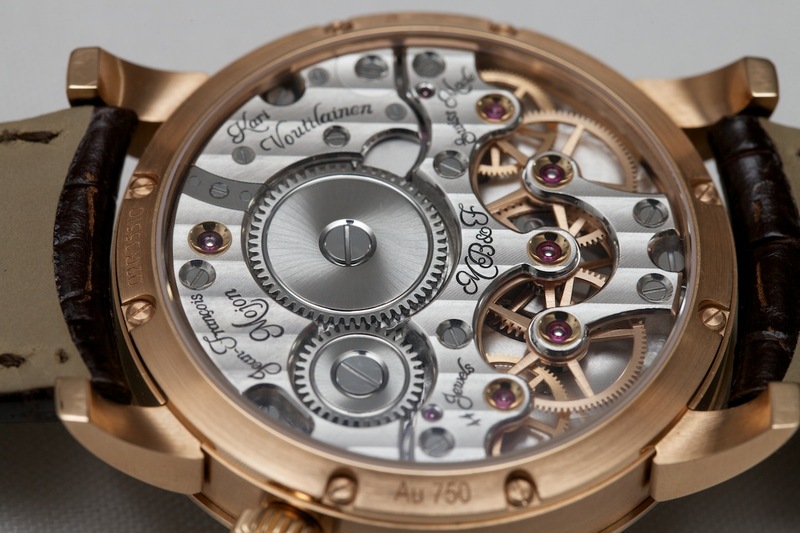 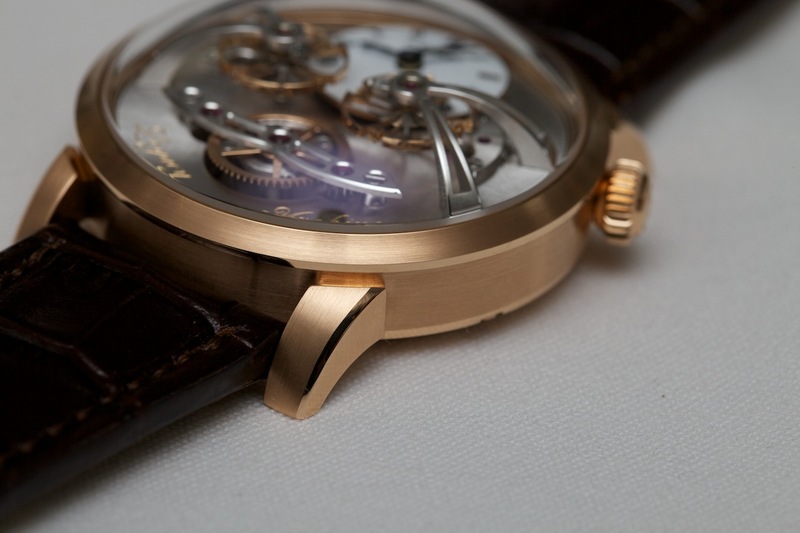 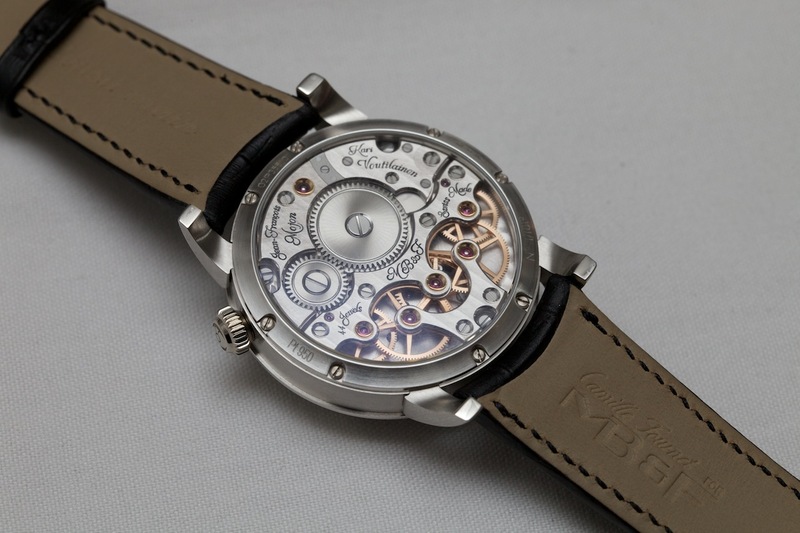 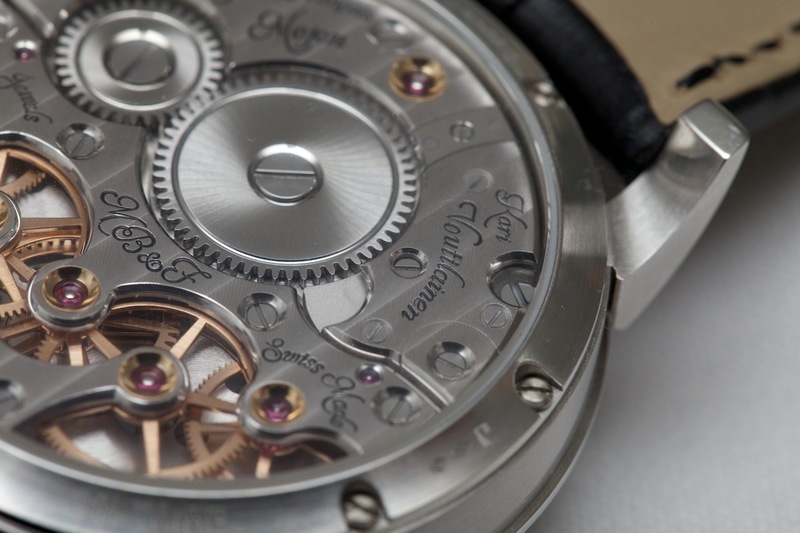 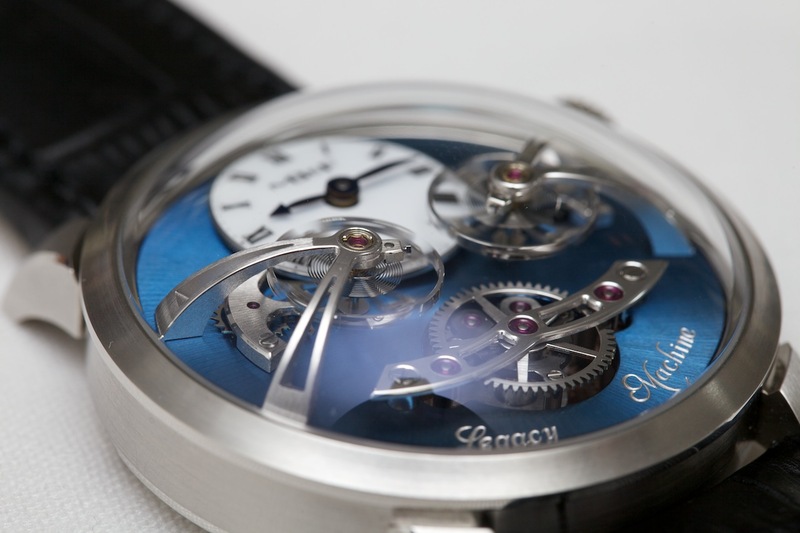 Whereas the LM1 had a single escapement with one stunningly large balance wheel at the center of the dial, the LM2 features two fully independent escapements rising above the dial. 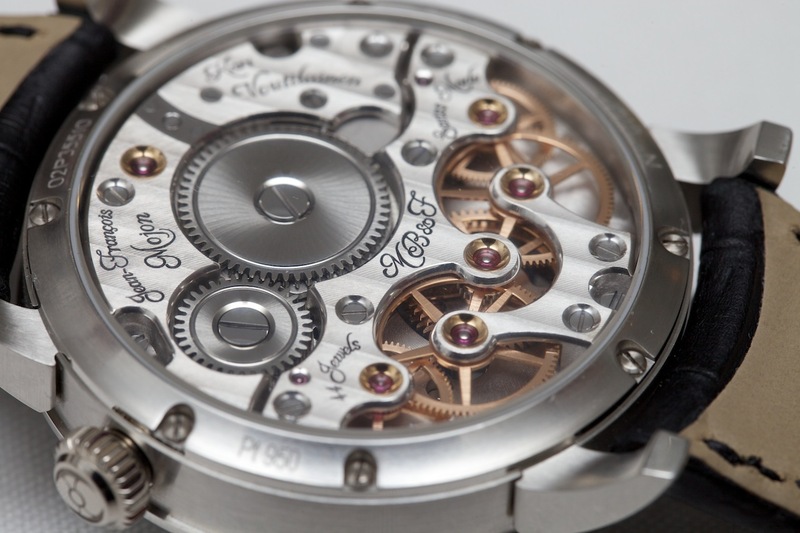 Together, they regulate one single gear train (movement) via a differential found at 6 o'clock that transmits their average rate. 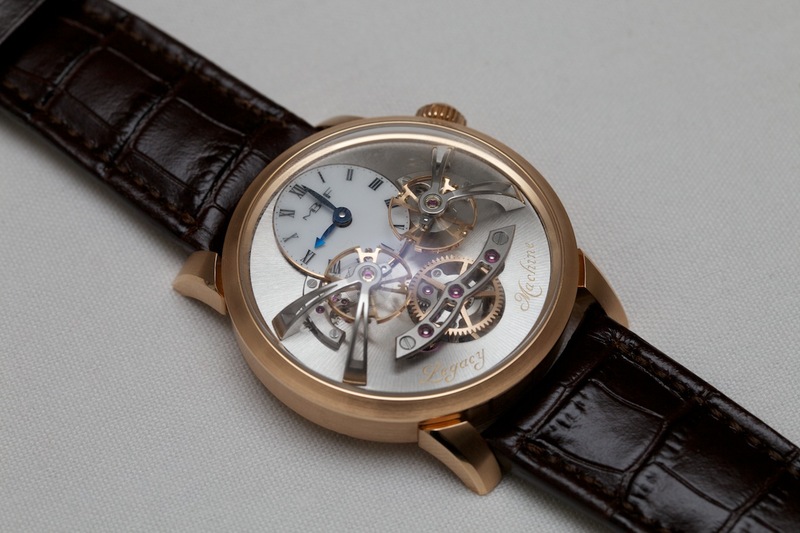 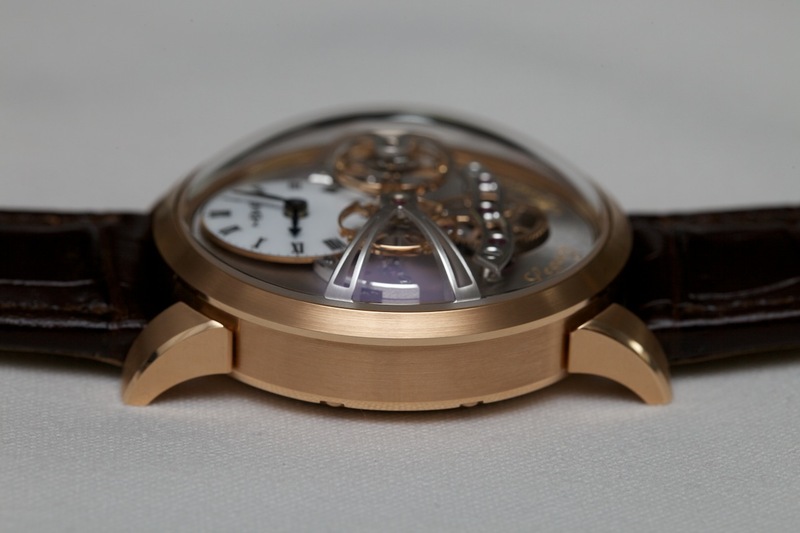 The LM2 is available in 18 karat rose and white gold cases measuring 44 mm in diameter. 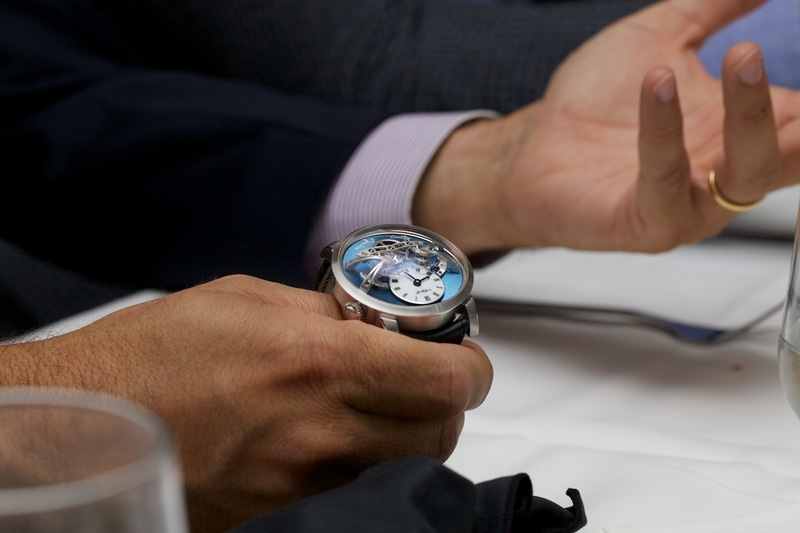 A special, 18-piece limited edition in platinum is also available, featuring a sky-blue colored dial. 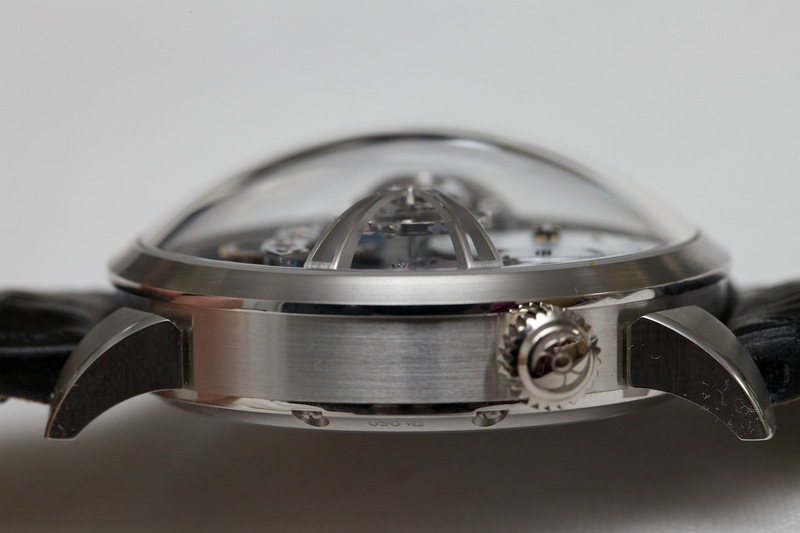 The finishing, even on these prototypes, appears to be superb! 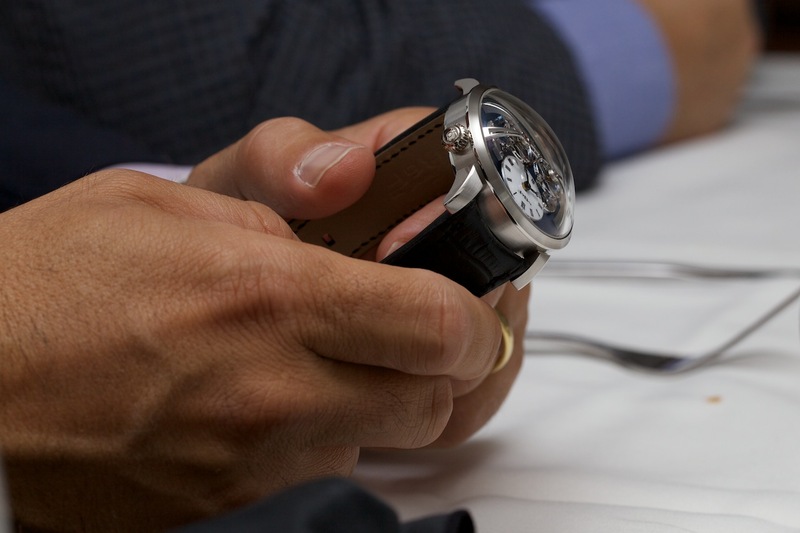 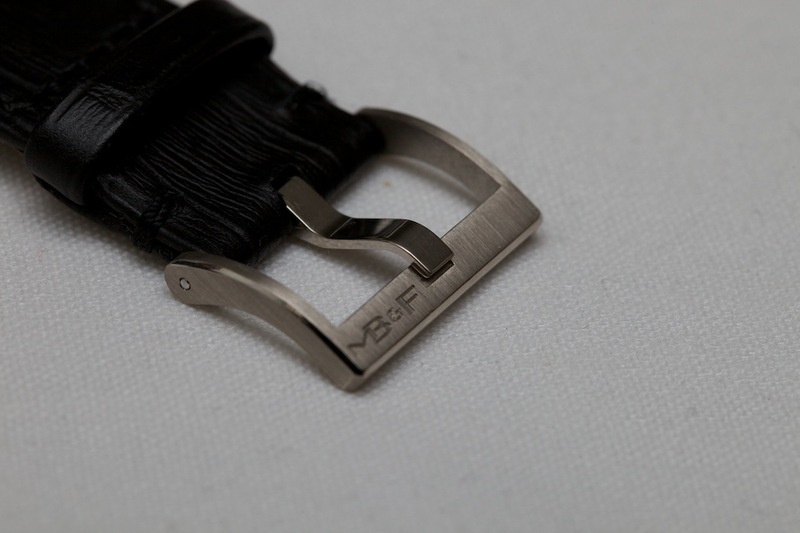 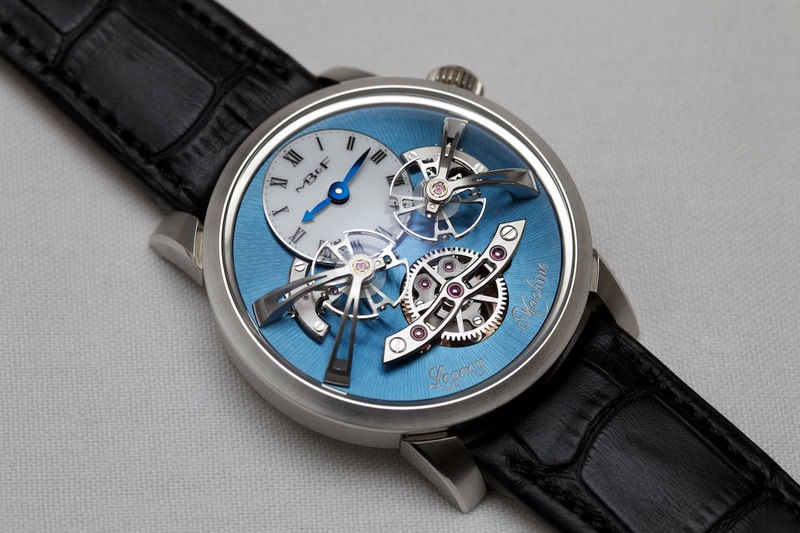 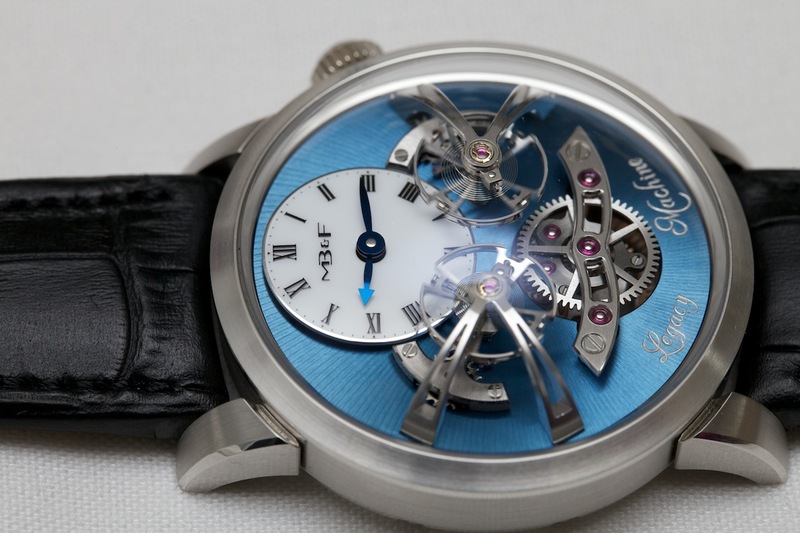 Sincere thanks to MB&F and Charris Yadigaroglou for sharing the LM2 with us. 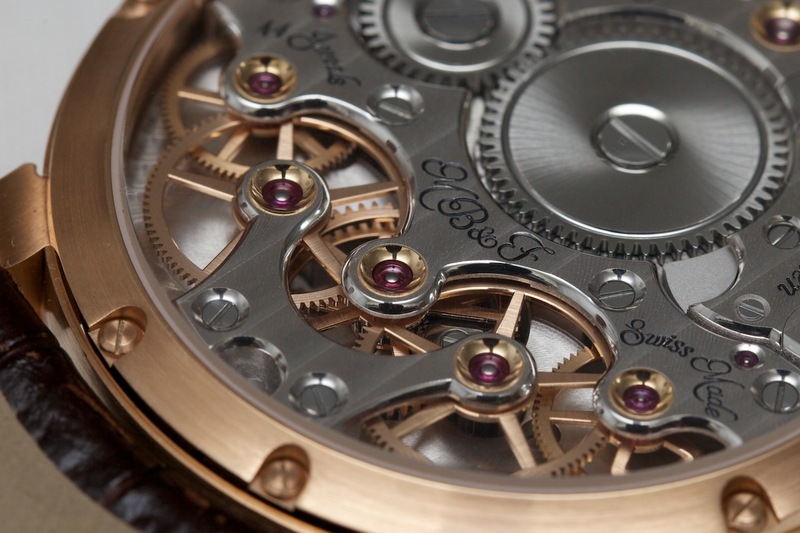 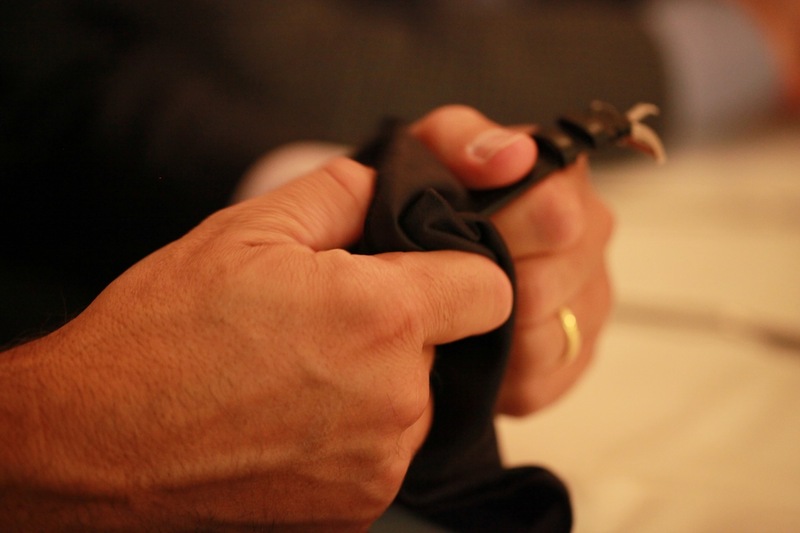 They're simply exquisite creations, which must be seen in person to be fully appreciated.